There is a wealth of medical and diagnostic information that hyperspectral and Raman imaging can help uncover. 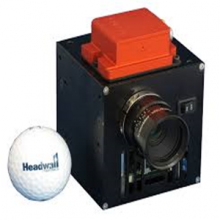 Many health-related secrets have been solved thanks to spectral imaging solutions from Headwall. In the pharmaceutical industry, Headwall is helping in the drug-discovery process and in getting these new formulations from the laboratory into full-scale manufacturing. Areas of interest for hyperspectral imaging within the pharmaceutical industry include blending quality control, manufacturing to volume, Process Analytical Technology (PAT) initiatives, polymorph analysis, and spray drug dispersion. The science of drug discovery is made more precise thanks to Headwall’s innovative Raman imaging techniques that non-destructively excite a sample with laser light at a specific wavelength. Raman spectroscopy yields spectral information that is highly specific and identifiable to known substances. Once the formulation moves to production, Headwall is there with hyperspectral imaging solutions that can scan multiple batches of tablets as they move along a high-speed line. In diagnostics, hyperspectral sensing provides a highly resolved means of imaging tissues at microscopic or cellular levels. The non-invasive analysis can provide accurate spectral information relating to a patient, a tissue sample, or a disease condition. 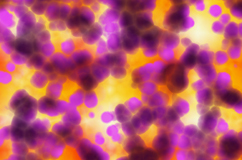 Areas of interest here include microscopy, cellular spectroscopy, non-invasive diagnostic imaging, optical biopsies, tissue demarcation, and therapeutic analysis.